Learn to drive in Houston with an established and experienced local independent driving school/instructor providing driving lessons and driver training courses in Houston and the surrounding area at competitive prices. Welcome to JG Driving Tuition. My name is John Glass: fully qualified Driving Standards Agency registered and approved driving instructor. (ADI). Over twelve years I have established an excellent reputation in the Houston locality for training and preparing learner drivers to the high standard required to confidently meet the ever-increasing challenge of the practical driving test. (Explained). Based on your current level of skill and experience, I will plan and recommend a course of driving lessons to guide you through all your learning requirements. When you go on to pass the driving test; the motoring skills, knowledge and practise gained in your driving lessons will keep you a safe, confident and responsible driver - for life. I offer a reliable door-to-door service, delivering effective driving tuition in a relaxed but professional manner. Lessons are taken at your own pace and can be tailored to your particular requirements. 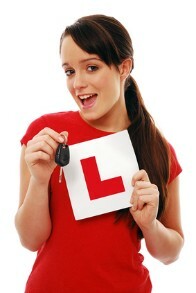 Contact me today and start on the road towards achieving your driving ambition - your full GB driving licence! (Info).